The best drone maps and models come from the best drone flights. 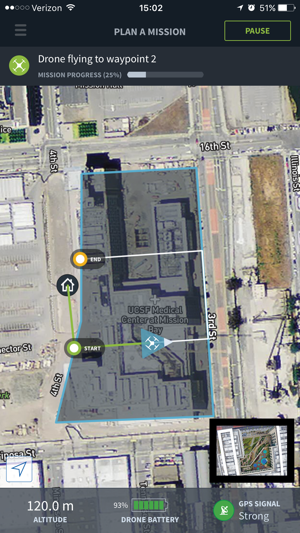 Automate aerial mapping with your DJI drone and get high-resolution maps and 3D models in minutes. From takeoff to landing, the Skycatch drone flight app will autonomously fly your DJI drone and perfectly capture photos for 3D mapping. 1. Outline the area you want to map. 2. Tap TAKEOFF to send your mission to your drone. Drone will complete mission autonomously. 3. 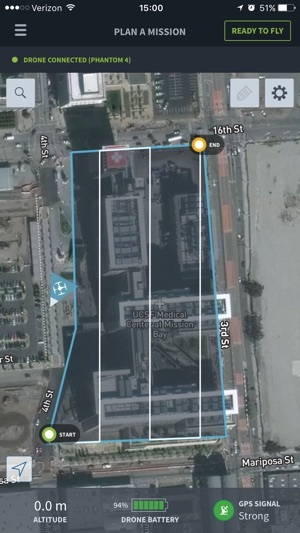 Upload photos from your drone’s SD card to https://upload.skycatch.com and Skycatch photogrammetry will automatically cloud process into aerial maps and 3D models. It’s that easy! Now you can view and share your processed data online and even markup, measure, overlay BIM & CAD files, and more. - In-app guidance plus quick access to tutorials, help docs, and chat support. - Select the resolution you want and the app automatically calculates waypoints, altitude, speed, and overlap. - Flight direction control: change the direction/heading of flight path depending on wind, terrain, and obstacles. 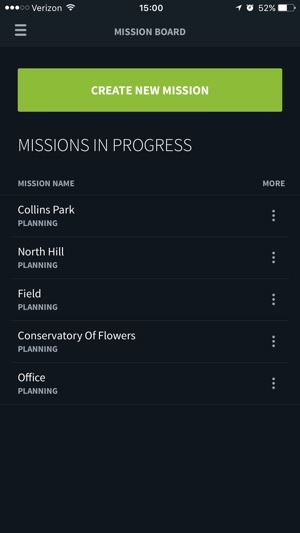 - Multi-flight missions: plan your entire flight once and if you need to replace your battery mid-flight just hit ‘Continue’ to pick up right where you left off. - Save mission plans without having to re-plan — perfect for multiple sites and recurring data capture. 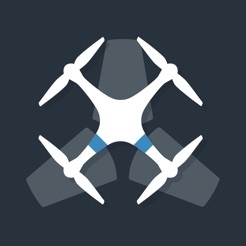 - Watch live video feed of your drone's flight right in the app. 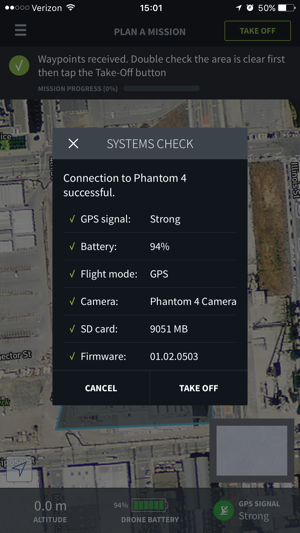 * Added Phantom 4 Pro support! This flight planner blows all others I've tried out of the water. Super simple and intuitive and my maps have come out perfect every time so far. 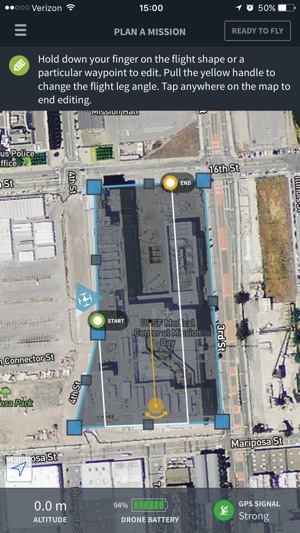 Also is the only app that I know of that lets you change flight heading/direction which has saved me a lot of headache flying on construction sites around cranes. Please come out with Mavic version! Attempted two flights. Randomly dropped connection to the drone both times and couldn't reconnect. I had no control over the drone and had to just wait for it to finish the route and auto-land. Thankfully it didn't crash or fly away, but I was worried it would the entire time. Not a pleasant experience. Major issues need to be addressed before I would ever consider using this app again.